Klaus Töpfer, Director-General of the United Nations Office at Nairobi. that are explored against a topical background. At the same time it remains compact and highly readable. 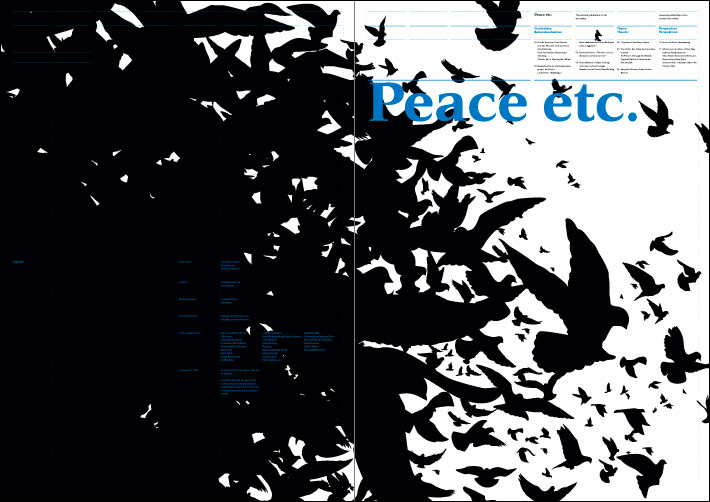 The new issue treats visual and text contributions on equal par. The results are powerful, personal statements. between the texts and the visuals. The war is, as I understand it, certainly not over.